When you are traveling outside of Central Virginia, where do you tell people you are from? 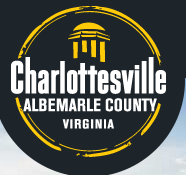 Do you say “Free Union”, “Albemarle County” or do you say, “Charlottesville”? Seemingly an academic question but it is one that is at the heart of the current governmental coup of the Charlottesville Albemarle Convention and Visitors Bureau (CACVB). In December, former Albemarle Board of Supervisors Chairwoman Diantha McKeel sent a formal notice to [Then CACVB Executive Director Kurt] Burkhart that said the county intends to terminate an existing organizational agreement on June 30. The letter says the city and county’s elected officials had been discussing the CACVB’s “limited focus and reluctance” to promote locally owned wineries, breweries and distilleries, history and heritage tourism and ecotourism, as well as specific activities such as bicycling, hiking, canoeing and kayaking. The friction between CACVB Executive Director Burkhart and the Albemarle County Board of Supervisors had been simmering for several years. [Burkhart retired earlier this year]. While Burkhart touted hotel occupancy rate data; focusing on proving the return on investments in tourism using economic models showing $6 or $7 benefit for every dollar invested, supervisors questioned the methodology of these models and noted the large number of hotels in the City. In addition to Burkhart not filling funded positions quickly and maintaining a large fund balance, the root of much of the concern was focused on the belief that Albemarle was not being promoted enough in the marketing of the region. This “Municipal Hubris” has been gong on for over a decade. I recall when the latest logo redesign [left] was competed several years ago, it was a requirement that Albemarle be in the logo and then there was a concern regarding the different size font. Then there was a discussion, I am not making this up, that it was not alphabetical. To the [Ancient] Greeks, hubris referred to extreme pride, especially pride and ambition so great that they offend the gods and lead to one’s downfall. Hubris was a character flaw often seen in the heroes of classical Greek tragedy, including Oedipus and Achilles. The familiar old saying “Pride goeth before a fall” is basically talking about hubris. At the end of the May 21st City Council meeting, they selected Councilors Galvin and Signer to represent Council in the CACVB reorganization work; but there was no further discussion beyond the appointment. To review, the proposed CACVB Executive Committee would control all aspects of the organization and would consist of one member from the City Council and the Board of Supervisors; the city manager (or a designee); the county executive (or a designee); a tourism or economic development official from the city and county; a University of Virginia representative; two industry representatives, one each appointed by the city and county. All but three of these members sit on or answer to either the City Council or the Board of Supervisors. Considering the many conflicts and concerns between the City and the County right now, I anticipate the jointly funded marketing of regional tourism objectives to be an area where the city (and county) end up walking away from the “new deal”. The result will be duplicative efforts (though they will claim collaboration), inefficiency and a lack of accountability. Tourism will become a division of each locality’s Economic Development departments and lack the import and independence it enjoys today. In addition, we see further weakening of the required nexus between tourism and line item expenditures. Transparency is lost. Perhaps a brief review of Greek mythology [Daedalus and Icarus] could prove helpful prior to moving forward with the dissolution or dismemberment of the CACVB.